improve their mental health and well being. Another recent customer Afan Arts also work with Young People to to help them realise their potential and ability often in the face of difficulties. Rookie are based in Scotland and part of their work which involves our support is in their schools programme. They go into Primary Schools and give the children the opportunity to work with professional musicians and singers and learn original songs; then to record a CD ,which we duplicate and pack in a card wallet with art designed by the children from the school. We then send these direct to the school for each child to have a copy. The children also perform the work in a concert. 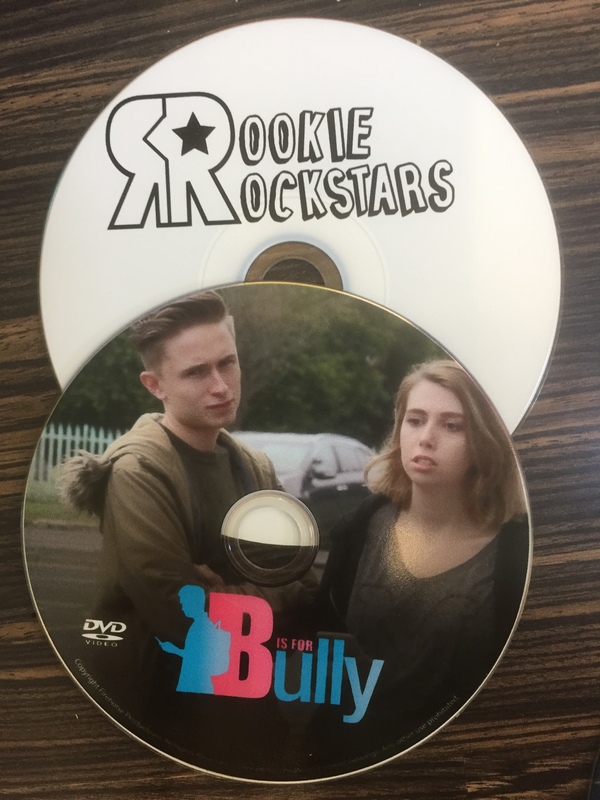 Our recent work with Afan Arts who are based in Wales was a DVD “B is for Bully”. A lot of problems would disappear if we talked to each other instead of about each other. Duplication Centre Resource Centre is proudly powered by WordPress | Entries (RSS) | Comments (RSS) | 19 queries. 0.018 seconds.